Go to a Japanese restaurant, and you are bound to enjoy shrimp and vegetables fried in tempura batter. You can easily recreate these appetizers at home. Tempura is most often served in Japanese restaurants. Fresh vegetables like sweet potatoes, zucchini, squash, onions, and more are deep fried in a crispy batter. 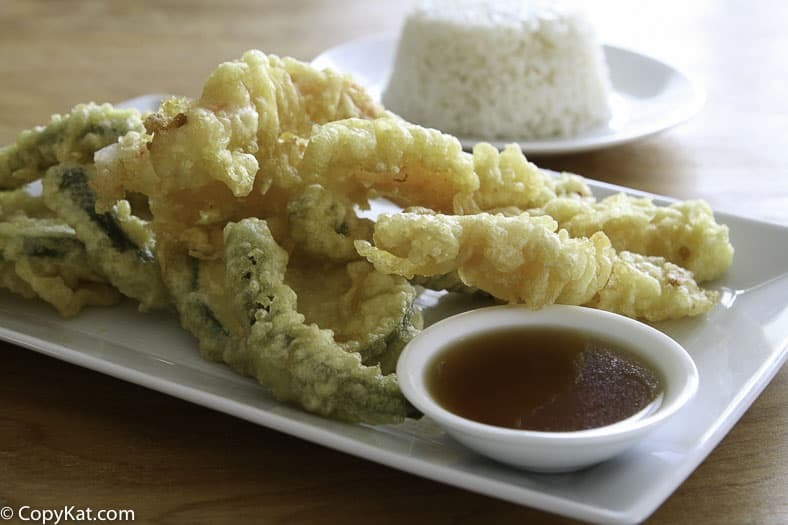 If you go to a Japanese restaurant and some Chinese restaurants you are bound to find tempura inspired items on the menu. 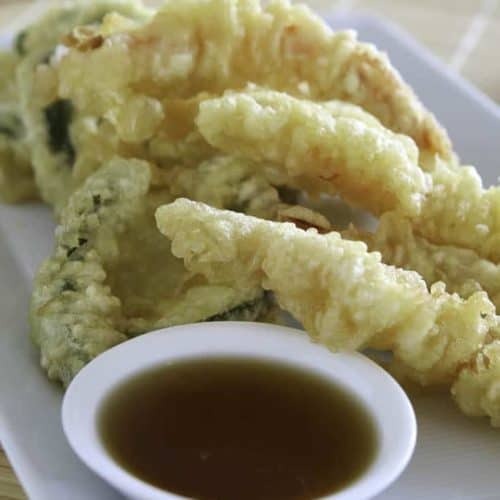 Did you know it’s super easy to make tempura? 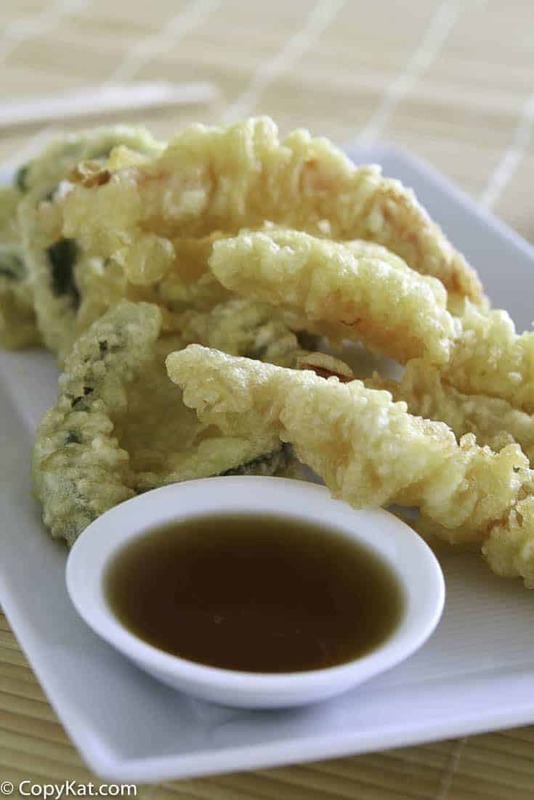 Tempura is a light and crispy batter that is made with flour and often ice water to help it get a very light texture. You can use specialty flours sold in supermarkets designed to super crispy tempura, but regular flour will work if you do not stir the batter too much. Stirring that batter too much will result in a batter that isn’t as light because the gluten becomes activated with lots of stirring of the batter. Love Japanese style recipes? Try these favorite recipes. This easy to make tempura batter recipe will soon have you frying up fresh vegetables, shrimp, and so much more. Mix all ingredients in a bowl. Know you can fry up vegetables, seafood, or anything else you desire. I omitted the herbs and sesame seeds and deep fried oreos, chocolate chip cookies and even a chocolate donut! The doughnut did not work so well but everything else was wonderful!